THERE were smiles all around when Lola Johnson started off the 10th anniversary celebrations at Emersons Green Library. The youngster was born on the same day the library opened in May 2003. 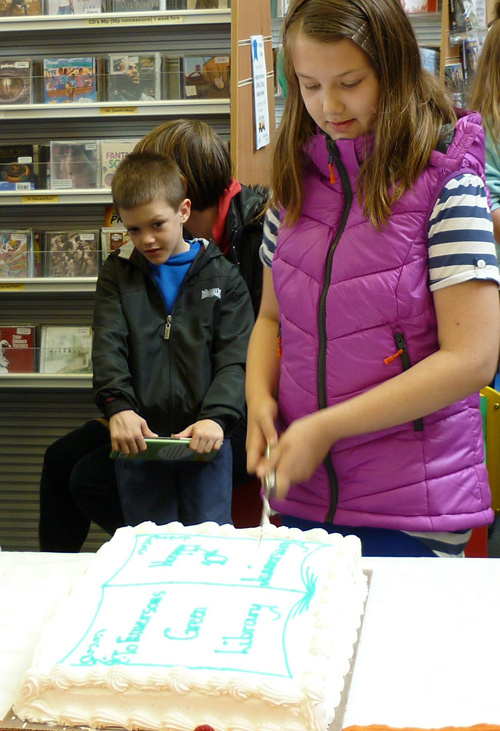 Lola, who lives in Emersons Green, had fun cutting an iced birthday cake while past and present staff, volunteers and library members looked on. Also in attendance was councillor Janet Biggin, performing one of her last duties as the chair of South Gloucestershire Council. There were numerous fun activities organised to get the party in full swing including a children’s games corner, competitions with prizes, a barbecue run by Scouts and sculpture making from old books. Since the library opened on May 13 2003 over one million books and other items have been borrowed and 850,000 people have been through the library’s doors. The library was part of a £2 million scheme for community facilities in the then new Emersons Green development. It became the thirteenth library in South Gloucestershire, and felt more like a bookshop with its light, modern design and brand new stock. 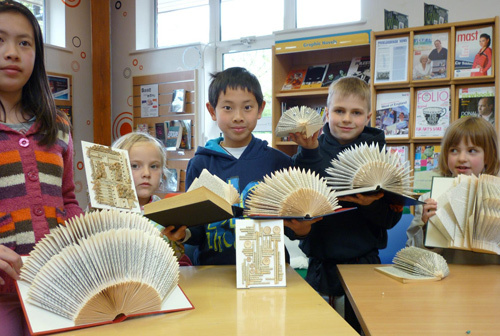 Children from Emersons Green Primary and Bromley Heath Primary schools created the unique bird mobiles and tiles that decorate the library. Stained glass panels and leaf design tiles on the counter were designed by professional artists, and all of the artwork was lottery funded. 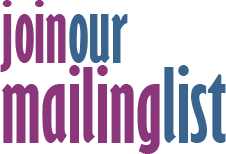 Over the past decade the library has continually developed to cope with demand, adding extra opening hours and introducing Wi-Fi, computer support, book clubs for all ages, advice sessions, community events and a library user group as a forum for feedback. 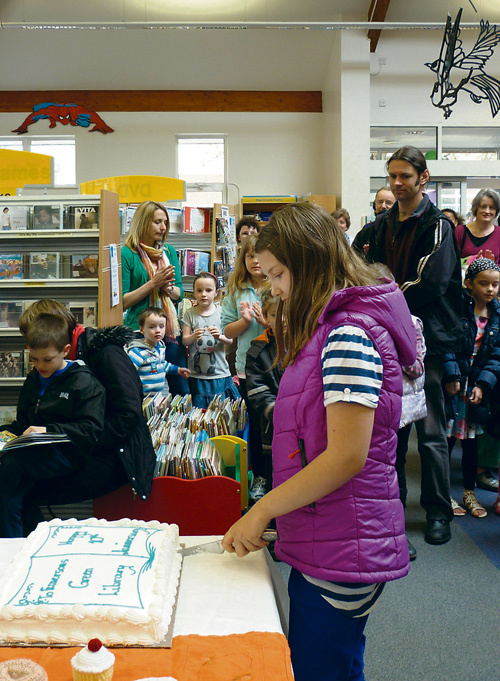 Librarian Gill Clayton said: “It’s great to be able to share the celebrations with people who live in the area, as the library is an important part of the local community and has something for everyone.